Bees. Nature’s unsung heroes. When they’re not busy helping to create one of the world’s most delicious substances, they have an even more important role: giving life to the world. Bees are responsible for a third of the food that we eat. But in recent years the global bee population has suffered. Habitat destruction and increased pesticide use has driven some bee species close to extinction. Something has to give. Our long-term survival depends on it. But before we can help these brilliant creatures we need to know more about them. That’s why we’ve sent our very own bees on a brand new mission. Bees with backpacks. 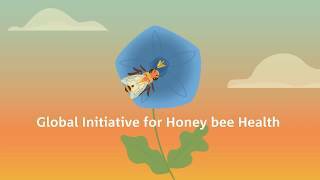 Our project expands on and supports an established project in Sydney, Australia by the Global Initiative for Honey-bee Health (GIHH). The GIHH is an international collaboration of researchers, beekeepers, farmers, industry and technology companies set up to better understand bee colony collapse and find solutions that will help secure crop pollination. We’ve partnered with local organisations and beekeepers in Manchester to help conduct our research. 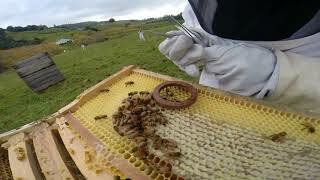 We support bee keepers by installing the tech in the beehives and training them to put the backpacks on the bees. Our ‘backpacks’ are tiny RFID chips that fit safely onto the bees without harming or distressing them. 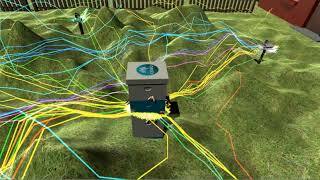 These sensors work with strategically placed receivers identifying individual bees and recording their movements. 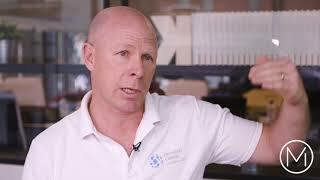 Cisco and Mi-IDEA have partnered with Data61|CSIRO to help track the bees’ movements using IoT technology to research the threats to bee health in order to better understand bee colony collapse. We are helping to gather critical and actionable data. This co-innovation effort will ultimately help scientists spend their resource more efficiently to help solve this global problem. Get your community involved in this project, whether you like bees, technology, work on education or all of the above!